How Will the Digital Future of Movies and TV Series Look Like? In the last decade, digital media has gone through some crucial changes. Streaming services took over Blockbusters and drive-in cinemas. Nowadays, as most people are subscribed to an online service, TV shows and movies are available 24/7 anywhere to anyone who owns a device with internet. The times of VHS are replaced by online streaming media and users pursuing the fastest VPN instead of a good old DVD player. A lot has changed, but the future still holds some surprises regarding movies and tv shows. December 28, 2018, was the day when a new era of the filmmaking started. 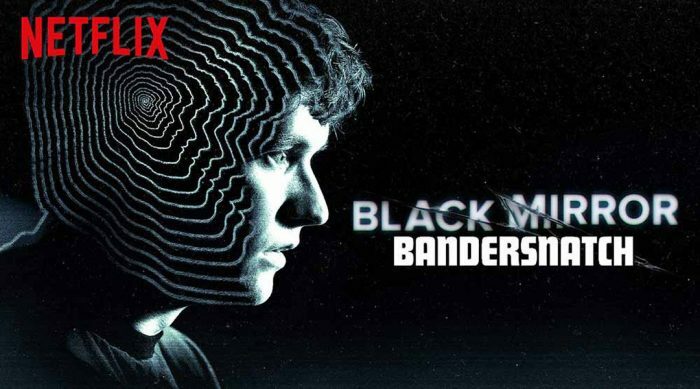 Netflix’s Black Mirror premiered Bandersnatch, an interactive film where viewers can decide what will happen next instead of a one-sided story line. Black Mirror has been a top hit ever since the series started because the validity and the future predictions amused the audience. When it comes to Bandersnatch, viewers with this ‘choose your own adventure’ composition got the opportunity to make decisions and decide between different outcomes at the main points in the story. This brought a brand new experience in the movie scene, which could mean a new beginning for future television and cinema experiences. People might choose online streaming services and look for the fastest VPN instead of buying another TV for their home if the most traditional movie provider can’t keep up. With Bandersnatch becoming a sensation and offering an appealing adventure, Hollywood’s position in movie making might be at risk. To create something this complex on the cinema screens, filmmakers would need way more production costs, time, and energy. There are numerous things which could backfire on this platform. Technical limitations could cause lower production value, story experience, etc. A handful of past movies already tried this story structure, but they mostly ended up failing the project. Many old movies and TV shows have been remade in the past few years because the movie industry wanted to shoot the old favorites from a new perspective. These hit and miss movies, however, did not please the crowds most often. However, the film industry is a continuously evolving area, and the digitalization is only accelerating the process. The future of the film industry has already arrived with the improved 3D and 4D experience, then VR/AR (Virtual Reality/Augmented Reality) a few years back. The digital era brings a lot of changes and surprises, and now it is continuing with movies like Bandersnatch. This will start a competition among the film industry’s participants to make something more entertaining, but it is impossible to predict what kind of direction movie making will take. As we couldn’t predict the future of the internet, it’s hard to say something about the film industry with confidence, too. 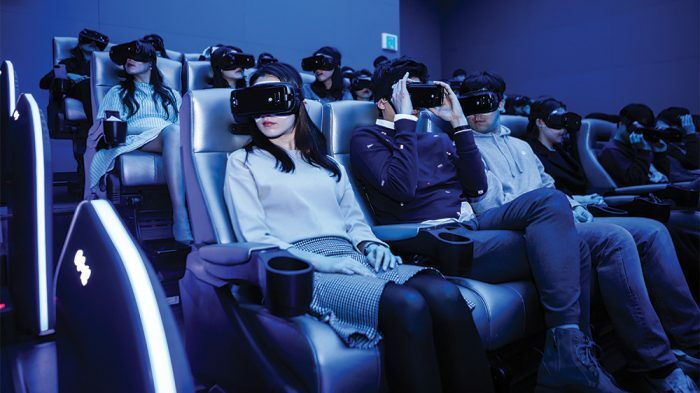 Realistic movie experiences have become available to anyone since people can easily purchase a 3D TV or a VR/AR device for their homes. There are dozens of movies and TV shows which can be streamed in a 3D format, but most often only the fastest VPN connections can do the job sufficiently regarding streaming. In 2009 the movie Avatar was the first biggest hit regarding 3D experiences, and ever since this new era of movies and TV shows keeps expanding. In the end of the first decade of the 21st century, a new generation of movie experiences was born. However, it came in many forms. As the internet took over, streaming became the primary option for movies. Netflix was a popular movie rental company, but soon it became an online streaming service. Nowadays everyone has some kind of subscription with an online streaming service. Netflix used its best platform’ feature, the streaming media technology to create this unique user experience. As movie streaming is becoming the leading platform in movie and TV show industry, there is an increasing need for faster movie experience online. Sometimes, it is still a problem to find reliable sources besides Netflix, Hulu, HBO, or Amazon Prime Video, especially for free or way cheaper. The biggest problem with streaming is cyber security, which is a sensitive spot of streaming providers. However, the solution is just around the corner. A VPN (Virtual Private Network) helps to enjoy security and privacy while streaming your favourite movies. VPNs help to make sure that your online activity – like the websites you visit and online searches – is not monitored or tracked down. As with most of the digital things, the faster, the better. There are a handful of VPN providers out there, competing to offer the fastest VPN. Besides the speed, it is important to choose a provider with optimized servers, strong encryption, and a no-logs policy. Sit back and enjoy movies from the comfort of your couch and keep your eyes open to what’s coming next. Bandersnatch being such a hit, it is guaranteed that more interactive and a reformed era of movies is yet to come.